For details please refer to West Kowloon Cultural District website. Constant & Change, A.K.A. “COCG”, derives its name from the English adage: "The only thing that is constant is change". Established in 2013, their style falls between post-rock and emo, combining a powerful rhythm brought out by complex drum beats and extremely evocative guitar tones to create a mystifying wall of sound that is both robust and layered. Accompanied by a VJ and synthesizer embellishments, the band somehow always finds calmness and reflection amid radical melodies. Shallow Levée is an indie folk group, their songs delivered in Mandarin and Taiwanese with the veil of foul industry atmosphere. It whispers the sorrow of nature, heavily but warm. The band consists of four local youth of Kaohsiung City from different family backgrounds, with their vocal and guitarist composing songs based on her life experience under the history of industrialization of Kaohsiung City. 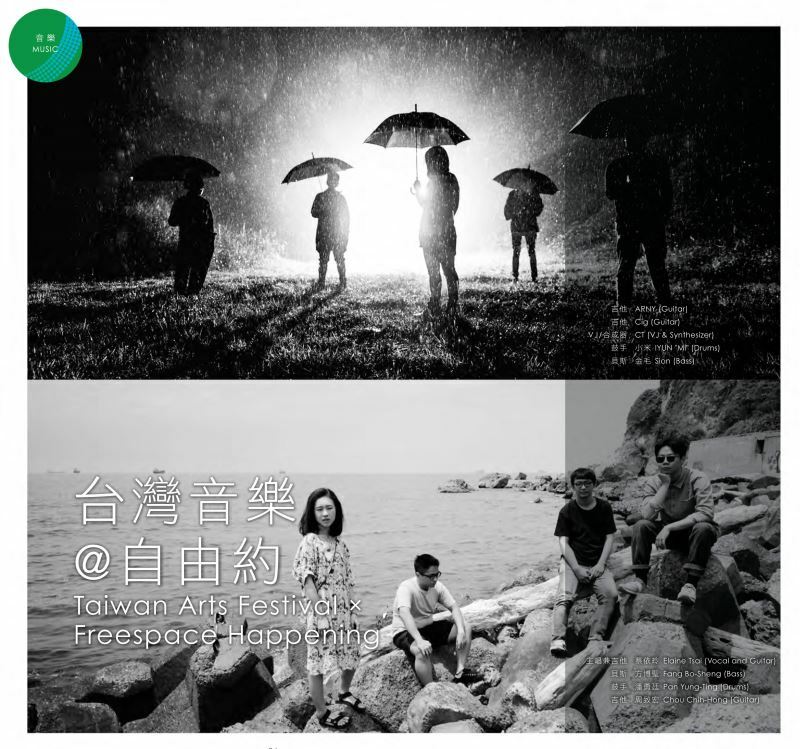 *Freespace Happening is organised by West Kowloon Cultural District.